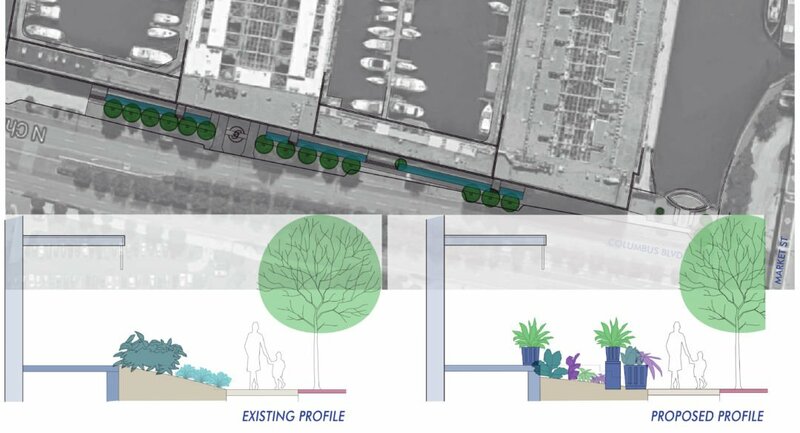 A much-needed upgrade to the landscaped front of Piers 3 and 5 along Columbus Boulevard and the Delaware River was instigated by the Delaware River Waterfront Corporation (DRWC). TEND landscape, together with DRWC, engaged residents and stakeholders of the piers to solicit input on desired direction for the renewal and beautification of the entry to the piers. Schematic landscape plans for renovation of the associated streetscape were prepared along with an updated planting plan for the base of the headhouses, which was installed as Phase I. 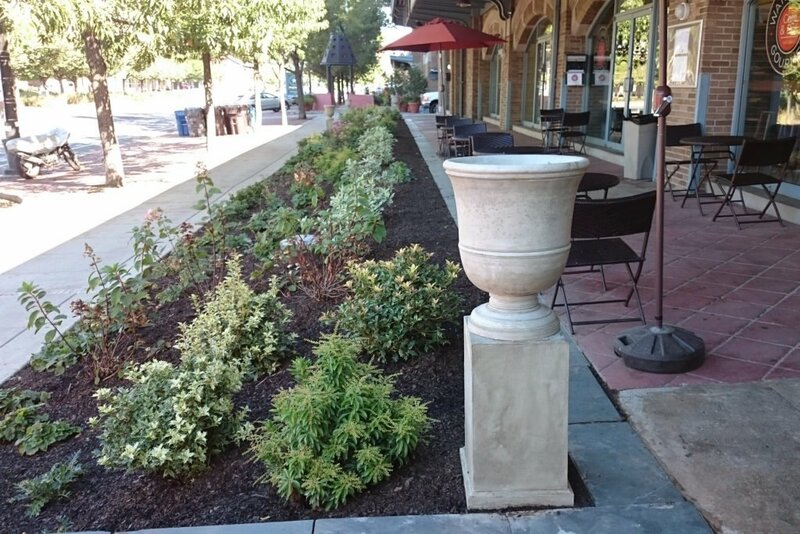 The planting design is rich with texture, form and color rhythm that unfolds with seasonal change. 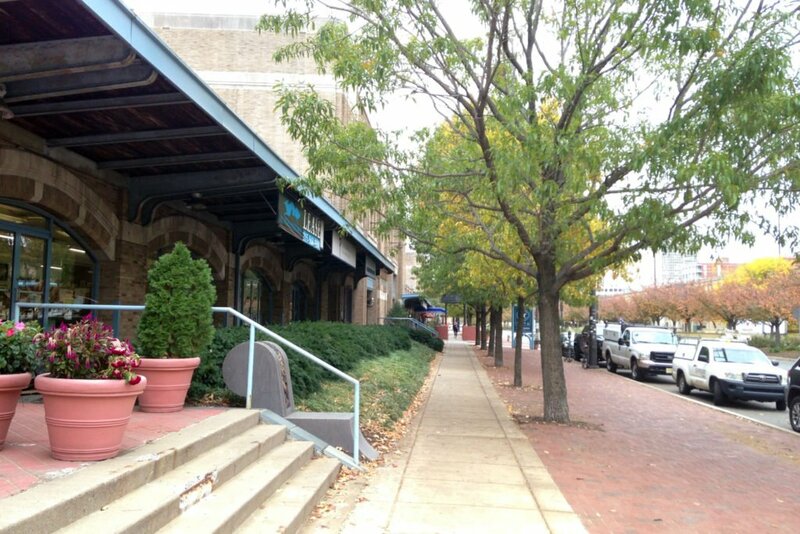 Phase I implementation included arboricultural care for the existing oak street trees and expanding the tree pits.